Match ends, RB Leipzig 0, Borussia Dortmund 1. Second Half ends, RB Leipzig 0, Borussia Dortmund 1. Roman Bürki (Borussia Dortmund) is shown the yellow card. Attempt missed. Matheus Cunha (RB Leipzig) header from the centre of the box is close, but misses to the right. Assisted by Yussuf Poulsen with a cross. Foul by Thomas Delaney (Borussia Dortmund). Jean-Kévin Augustin (RB Leipzig) wins a free kick in the attacking half. Kevin Kampl (RB Leipzig) is shown the yellow card. Foul by Yussuf Poulsen (RB Leipzig). Paco Alcácer (Borussia Dortmund) hits the bar with a right footed shot from the centre of the box. Assisted by Achraf Hakimi with a through ball. Attempt saved. Matheus Cunha (RB Leipzig) left footed shot from outside the box is saved in the centre of the goal. Assisted by Kevin Kampl. Substitution, Borussia Dortmund. Marius Wolf replaces Jadon Sancho. Substitution, RB Leipzig. Jean-Kévin Augustin replaces Konrad Laimer. Offside, Borussia Dortmund. Jadon Sancho tries a through ball, but Paco Alcácer is caught offside. Foul by Konrad Laimer (RB Leipzig). Konrad Laimer (RB Leipzig) wins a free kick on the left wing. Jadon Sancho (Borussia Dortmund) is shown the yellow card. Corner, Borussia Dortmund. Conceded by Marcel Sabitzer. Substitution, RB Leipzig. Matheus Cunha replaces Diego Demme. Attempt blocked. Marcel Sabitzer (RB Leipzig) right footed shot from the centre of the box is blocked. Assisted by Lukas Klostermann with a headed pass. Substitution, Borussia Dortmund. Paco Alcácer replaces Maximilian Philipp. Lukasz Piszczek (Borussia Dortmund) wins a free kick in the defensive half. Foul by Timo Werner (RB Leipzig). Attempt saved. Dayotchanculle Upamecano (RB Leipzig) header from the centre of the box is saved in the bottom left corner. Assisted by Diego Demme with a cross. Corner, RB Leipzig. Conceded by Roman Bürki. Attempt saved. Timo Werner (RB Leipzig) right footed shot from the right side of the box is saved in the top right corner. Assisted by Ibrahima Konaté. Substitution, Borussia Dortmund. Christian Pulisic replaces Raphael Guerreiro. Attempt saved. Marcel Sabitzer (RB Leipzig) right footed shot from the centre of the box is saved in the centre of the goal. Assisted by Timo Werner. Attempt missed. Marcel Sabitzer (RB Leipzig) left footed shot from outside the box is high and wide to the left. Corner, RB Leipzig. Conceded by Julian Weigl. Attempt saved. Raphael Guerreiro (Borussia Dortmund) left footed shot from a difficult angle and long range on the right is saved in the centre of the goal. Dayotchanculle Upamecano (RB Leipzig) is shown the yellow card for a bad foul. Maximilian Philipp (Borussia Dortmund) wins a free kick on the right wing. Foul by Dayotchanculle Upamecano (RB Leipzig). Achraf Hakimi (Borussia Dortmund) wins a free kick in the attacking half. Foul by Diego Demme (RB Leipzig). Offside, Borussia Dortmund. 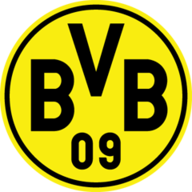 Jadon Sancho tries a through ball, but Maximilian Philipp is caught offside. Mario Götze (Borussia Dortmund) wins a free kick on the left wing. Corner, Borussia Dortmund. Conceded by Lukas Klostermann. Foul by Raphael Guerreiro (Borussia Dortmund). Yussuf Poulsen (RB Leipzig) wins a free kick in the attacking half. Offside, RB Leipzig. Diego Demme tries a through ball, but Timo Werner is caught offside. Corner, Borussia Dortmund. Conceded by Péter Gulácsi. Attempt saved. Maximilian Philipp (Borussia Dortmund) left footed shot from the centre of the box is saved in the bottom right corner. Assisted by Mario Götze. Attempt missed. Marcel Halstenberg (RB Leipzig) left footed shot from outside the box misses to the right. Second Half begins RB Leipzig 0, Borussia Dortmund 1. First Half ends, RB Leipzig 0, Borussia Dortmund 1. Foul by Abdou Diallo (Borussia Dortmund). Foul by Julian Weigl (Borussia Dortmund). Yussuf Poulsen (RB Leipzig) wins a free kick in the defensive half. Thomas Delaney (Borussia Dortmund) wins a free kick in the defensive half. Attempt missed. Abdou Diallo (Borussia Dortmund) header from the centre of the box is close, but misses to the left. Assisted by Raphael Guerreiro with a cross following a set piece situation. Ibrahima Konaté (RB Leipzig) is shown the yellow card for a bad foul. Achraf Hakimi (Borussia Dortmund) wins a free kick on the left wing. Foul by Ibrahima Konaté (RB Leipzig). Foul by Maximilian Philipp (Borussia Dortmund). Dayotchanculle Upamecano (RB Leipzig) wins a free kick in the defensive half. Attempt missed. Timo Werner (RB Leipzig) right footed shot from the left side of the box is high and wide to the right. Assisted by Kevin Kampl. Attempt blocked. Konrad Laimer (RB Leipzig) right footed shot from the centre of the box is blocked. Assisted by Marcel Sabitzer. Offside, RB Leipzig. Diego Demme tries a through ball, but Marcel Sabitzer is caught offside. Jadon Sancho (Borussia Dortmund) wins a free kick on the right wing. Foul by Marcel Halstenberg (RB Leipzig). Maximilian Philipp (Borussia Dortmund) wins a free kick in the attacking half. Goal! 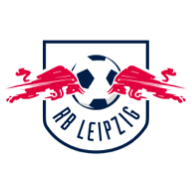 RB Leipzig 0, Borussia Dortmund 1. Axel Witsel (Borussia Dortmund) right footed shot from the centre of the box to the high centre of the goal. Assisted by Lukasz Piszczek following a corner. Attempt missed. Kevin Kampl (RB Leipzig) right footed shot from outside the box is too high. Offside, Borussia Dortmund. Thomas Delaney tries a through ball, but Mario Götze is caught offside. Foul by Marcel Sabitzer (RB Leipzig). Attempt missed. Thomas Delaney (Borussia Dortmund) header from the centre of the box is just a bit too high. Assisted by Jadon Sancho with a cross following a corner. Corner, Borussia Dortmund. Conceded by Ibrahima Konaté. Attempt blocked. Maximilian Philipp (Borussia Dortmund) left footed shot from the centre of the box is blocked. Assisted by Lukasz Piszczek. Attempt saved. Kevin Kampl (RB Leipzig) left footed shot from outside the box is saved in the bottom left corner. Assisted by Timo Werner. Corner, Borussia Dortmund. Conceded by Yussuf Poulsen. Corner, Borussia Dortmund. Conceded by Dayotchanculle Upamecano. Attempt saved. Axel Witsel (Borussia Dortmund) right footed shot from the left side of the box is saved in the centre of the goal. Assisted by Raphael Guerreiro. Offside, RB Leipzig. Marcel Halstenberg tries a through ball, but Timo Werner is caught offside. Foul by Lukasz Piszczek (Borussia Dortmund). Timo Werner (RB Leipzig) wins a free kick on the left wing. Diego Demme (RB Leipzig) wins a free kick on the left wing. Corner, RB Leipzig. Conceded by Abdou Diallo.